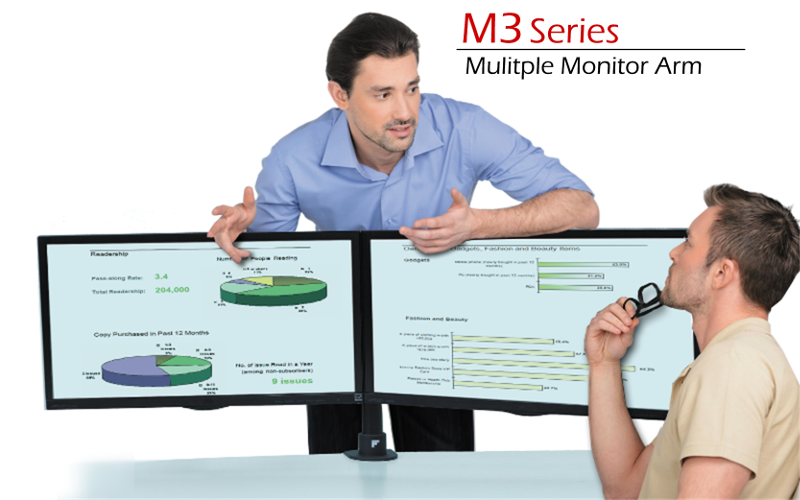 M3 series allow arrangement of multiple monitors in parabolic placement for simultaneous viewing of up to 8 monitors. 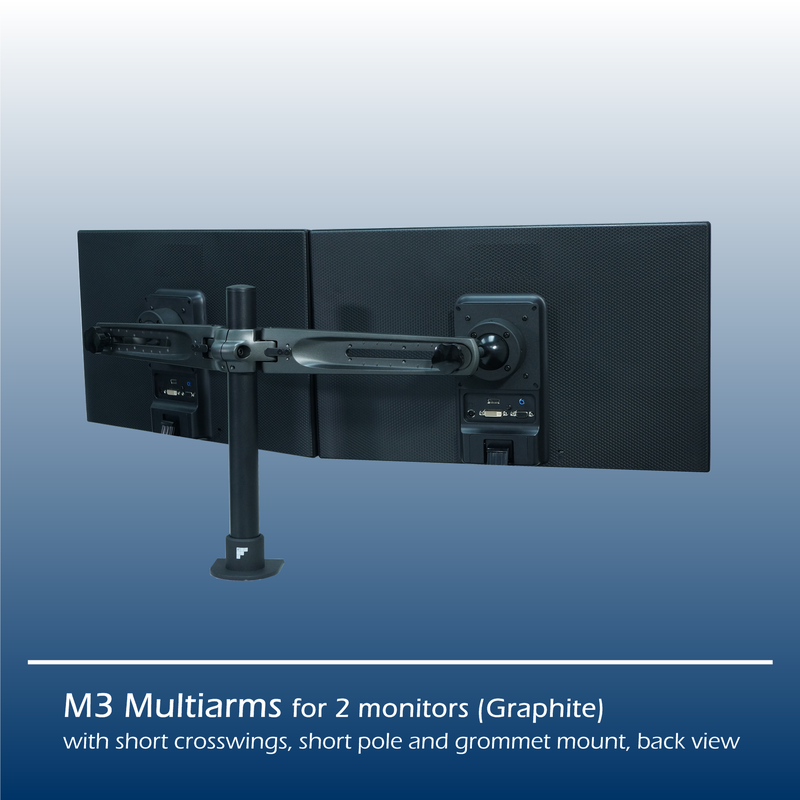 The angle adjustable crosswing & horizontal adjustable pivot mount, allow you to put different sized monitors in various configurations using one or two-levels with single or double poles. 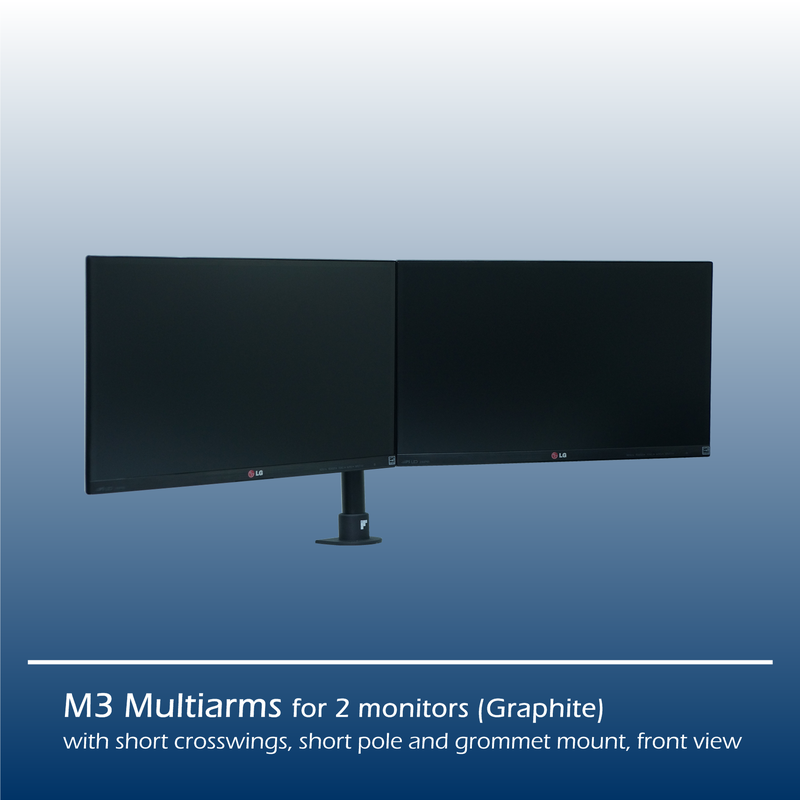 The ball joint pivot offers individual adjustments of your monitors in tilt, swivel, and swing motion for maximum comfort. The attractive die-cast aluminium body and joint provide superior strength, durability and the highest quality for commercial applications.